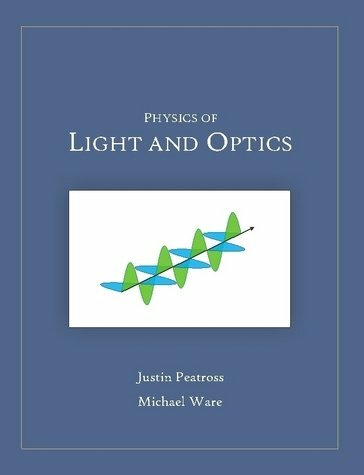 Physics of Light and Optics is a textbook designed for an advanced undergraduate optics course for physics majors. Topics are addressed from a physics perspective and include the propagation of light in matter, reflection and transmission at boundaries, polarization effects, dispersion, coherence, ray optics and imaging, diffraction, and the quantum nature of light. by A.S. Percival - Longmans, Green, and Co. This book is primarily intended for medical students as a textbook on the subject of Geometrical Optics for their preliminary scientific examinations, though it practically contains all the Optics required by an ophthalmic surgeon. The book is intended to introduce both basic geometric optics and the laser. The materials are presented in an action-oriented format combining many of the features normally found in a textbook with those usually associated with a laboratory manual. Although primarily intended as a textbook, it is written also as a reference book for those engaged in spectacle work, for other students of Optics, and as an introduction to the study of more advanced works. Published in 1920.